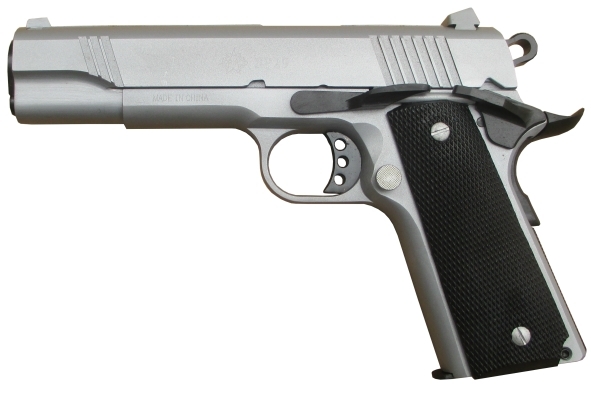 Standard in 9mm Para. Speed hammer, elevated slide stop and safety catch. Beaver tail grip safety and two-piece grip plate from rubber.